If you’re in business, you’re in sales = SERVICE! 6 ways you may be blocked with sales and how to work through them, FAST! There has never been an easier or more exciting time to start a business and there’s a rise of wellness and self-development companies starting, daily. Many business owners love what they do and are BRILLIANT at it but can often struggle connecting with new potential clients OR converting a potential client, to a paying client. Is that you? Here are 6 common blocks and tips to work through them. 1. You have a fear of rejection! This is so common and all humans have this to a degree but in business you have to re-frame this and QUICKLY. – Do not wait for confidence, know that it will come as a result of you making proposals and the more often you do that, the more your confidence will grow and the fear of rejection will fade. – NO = Next One, play a game with no’s and collect them, the more no’s you receive, the closer you are to the one yes you need! – The best time to make a proposal is: just after a yes / no, so keep going! – Show UP! Consistently. People need time to get to know, like and trust you, so it may take many pieces of content and / or conversations, so be visible and connect with your ideal clients, daily! Maybe / I’ll think about it is not a decision and is disempowering for you and the other person. It is often code for: I don’t want this / I don’t think this is for me… aka I do not see the value in what you’re offering! Always lead with VALUE & SERVICE! If your energy is that of giving, instead of getting, you and your potential client will be at more ease and in a place of trust. Give them service from the first connection and help them see the power of your working and working with you. Let them understand and see the results… aka the solution you have to their problems! Also, know what solution your products and / or services provide and who for! If you are speaking to people who tell you they don’t have the money to pay for your services, look at your own relationship with money. These excuses are often mirrors for your own beliefs. There’s work to be done here. Also, check back in with the above point… we ALWAYS find a way to invest in something we REALLY want! Your potential clients are coming to you for support or solutions and are looking to you as the expert and leader. Do your content and conversations give this impression and inspire confidence? Are you leading? 5. You want to raise your prices but are scared no one will invest?! FALSE – there are plenty of people out there investing at every level. You need to get clear on who exactly you’re marketing to and own your value. Bargain prices attract bargain hunters! Do you want to work with people looking for affordable or transformational? Bargain basement or luxury? Pound store or Chanel? You get the point! You do not have to figure it out alone and the sooner you are supported by an expert, the sooner you’ll see the changes. Maybe you’ve been putting this off, trying to do it alone or perhaps you’ve invested in ‘affordable’!? If you’re still not seeing the results you truly desire, get support and master sales, so you can be of the high service you’re here for and live the life you want. We invest highly in degrees, to learn other professions but it’s amazing how many people are trying to do business with no training, knowledge or experience. If you are already supported, make sure you’re showing up and doing the work: applying the internal and external work, consistently and showing up for you and your business: this is your full time job! If you’re in business, you’re in sales and you CAN master all of the above! If you don’t want to master the above maybe you should consider getting a job? Straight talking, from the heart! Louise is the CEO & head coach at louisegeorge.co & host of The Louise George Show Podcast. She has been an entrepreneur for over 12 years & one of the UK's leading life & success coaches since 2014; supporting: entrepreneurs, creatives, celebrities & leaders in taking their lives & businesses to the next level; helping many small businesses grow from 0 to 6 figures + in their first year. 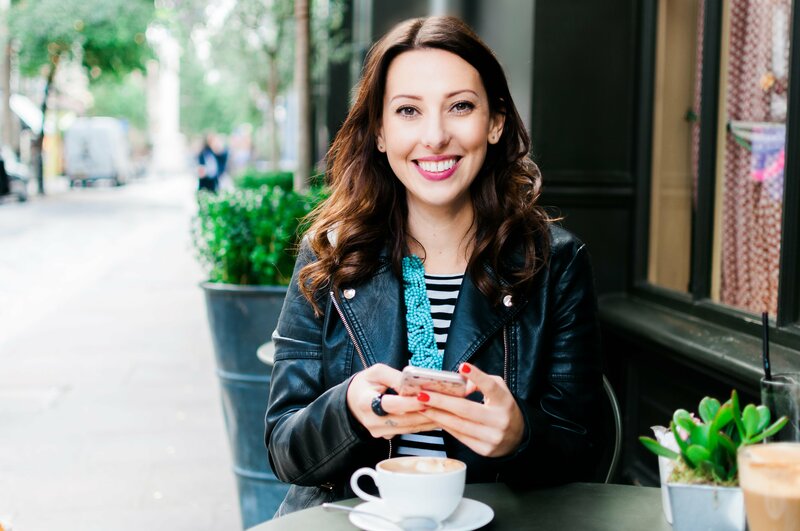 Louise's main focus as a coach is supporting successful, purpose-driven entrepreneurs & creatives in connecting to their internal compass, creating a positive impact & a life that feels as good as it looks. Her clients have included: coaches, psychotherapists, mentors, consultants, lawyers, barristers, bankers, actors, producers, speakers, writers, musicians, designers, artists & athletes. Louise is also an experienced, professional & passionate actress and TV presenter, with 18 years experience, having played a range of roles both on stage and screen. When not working you will find Louise in the outdoors: stand up paddle boarding, running - having competed up to marathon distance - or hiking with her dog.